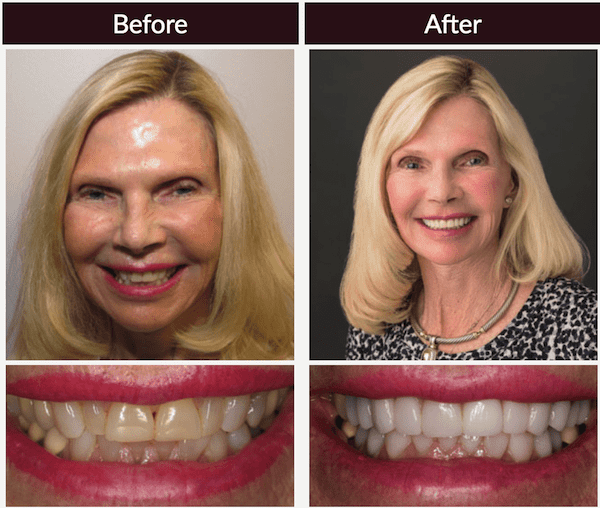 Scott Young, DDS Contents Ann S.
This patient came to us wanting cosmetic dentistry due to her narrow laterals, existing composite fillings, stress fractures, and gum recession on her front teeth. To help her she visited us four times, recieved sedation dentistry, ten upper and eight lower restorations. She now wears a night guard to protect her teeth while she sleeps.